Finnington Bridge Moorings lie to the south west of Blackburn on the Leeds & Liverpool Canal. Within a short cruise, customers will discover rolling hills and delightful west Lancashire countryside. The historic market town of Skipton “The Gateway to the Dales” can be reached in approximately 3 to 4 days cruising with plenty of tourist attractions including its medieval castle built in 1090. The vibrant, cultural city of Liverpool can also be reached in approximately 4 days cruising time. With the iconic Albert Docks holding world heritage status being a must see and lots to offer in and around the city center including Museums, Art Galleries, theatres, sports events and much much more. The nearby M65 and M6 motorways also provide good access to the major towns and cities in the North West. The linear site is approximately 185 metres long and provides space for up to 13 vessels against the towpath. 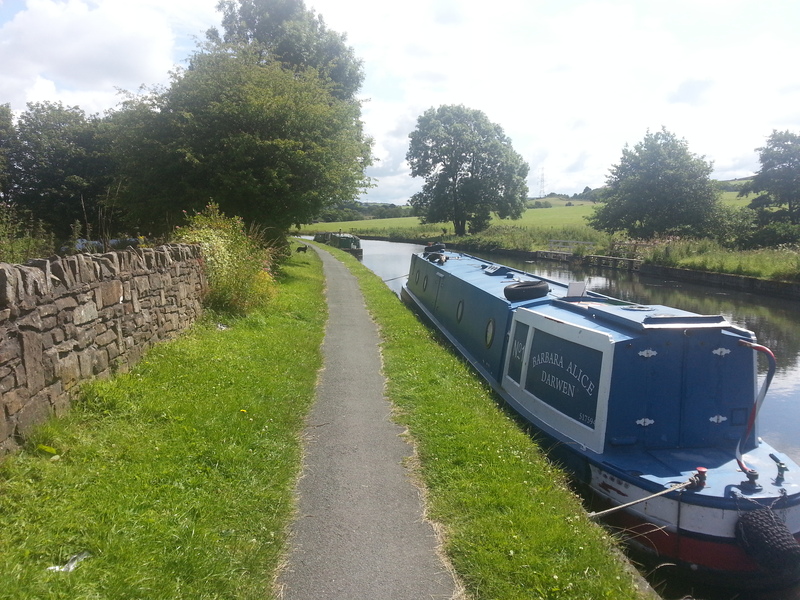 The mooring site is just off junction 3 of the M65. Access to the site is via Finnington Lane, A674 at Bridge 91B. Vehicle access to the moorings is to the rear of Finnington Industrial Estate, through a locked gate which requires a Canal and River Trust key. The closest village is Feniscowles, approximately one and a half miles away. The nearest Canal & River facilities, including elsan, refuse collection and a waterpoint, are at Blackburn Locks approximately one and a quarter miles east of the site or at Johnson's Hillock Locks approximately one mile west. Mooring rings are installed at this site but mooring pins may be needed dependent on boat length and spacing of rings. The mooring site has no access restrictions and can be viewed at any time. We would ask that you are considerate of the current mooring site customers.